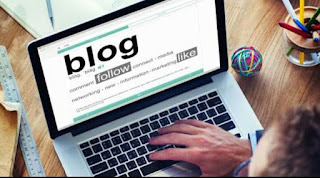 Blogging is easy to start and here many options are available for start blogging every new person who want to start blogging must have some information about its future and its starting plateforms. For start blogging free their are many different platform are available and some of them are wrost and some are very good so its important to choose right blogging platform to perform well in blogging. In first aome days of blogging their are some problams regarding money there was a littile doubt about that is blogging free? Here's the answer blogging is free from any of cost on some blogging platform you can start blogging without any investment you can choose blogging sites like blogger. Com, wordpress and tumbler for start blogging free its very easy to use them. Blogging is a source where can people share there ideas with all world and blogging also a great source of sure income. As practical every blog is important for search engines becuse every search engine need some result for every serach so gour blog will be shown as search results. Blogging is a very usefull things for all.any body can share knowledge by using blogging. For start blogging these steps are required for make a good blog. A new person can start blogging on these sites all of these sites are trusted and very good to start a professional blog. Before start learn some blogging tips and some required steps to start blogging. These all sites are trusted and cover about 28%of all internet it means that these site have enough traffic. All five sites are free and very big you can start blogging with any of these sites. At start you will get a free domain and free webhosting for lifetime. Its perfact to start blogging free. This domain will be a supported domain you can change this with .Com domain. 3.use a domain name reliable to your content. 8.use images related to your topic you can use snapshots as original images.